Syllabus week is quickly approaching for many students across the country. Back to school time is here, and I want to give you my best advice for what to do during syllabus week. Syllabus week is crucial to keeping you calm, cool, and collected for the rest of the semester. Here are 9 things I think all students should do during syllabus week so you can have a productive semester. First impressions are everything, and class during syllabus week is usually mandatory. At my college, the first few weeks of school were the only time professors actually took attendance. To get financial aid, you usually have to attend a certain number of classes in the beginning. So, show up so you can get your aid money and pay for college. It really sets the bar low when you can’t attend class on the first day. Of course, accidents happen, and if that is the case you need to let your teacher know why you couldn’t show up to class. In the same vein of attending class, show up to class on time! There is usually a bit of leeway, especially for freshmen, because navigating a new campus can be quite scary. If you aren’t sure you can show up to class on time be sure to walk the campus once or twice during welcome week to understand the distance between all your classes so you can show up on time. I am ALL about talking to your classmates so that you can find your people on campus. If you know me, I love when people make friends with their classmates. I made some of my great friends my freshman year by meeting them in a class. Talk to at least one person beside you in class before it starts to get to know them. This way you can begin to forge a great relationship so you can have someone to study with or chat with about the class at a later date. I know this seems redundant, but you should read your syllabus. Why should you read the syllabus? Simple, your professor is not going to go over the entire syllabus with you. They may touch on some of the highlights, but it’s up to you to do the real digging. Your professor isn’t going to and shouldn’t hold your hand. There are some parts of the syllabus that they have to put on there, but other than those parts, syllabi are unique to each professor. Did you notice any times when you have a bunch of tests/papers/labs? Do you notice any field trips you might have to take that might conflict with a work schedule? Do you notice any office hours that might conflict with your schedule? Does the professor have a weird policy on things like voice recordings, laptops, etc? Take your time and really get through each one. 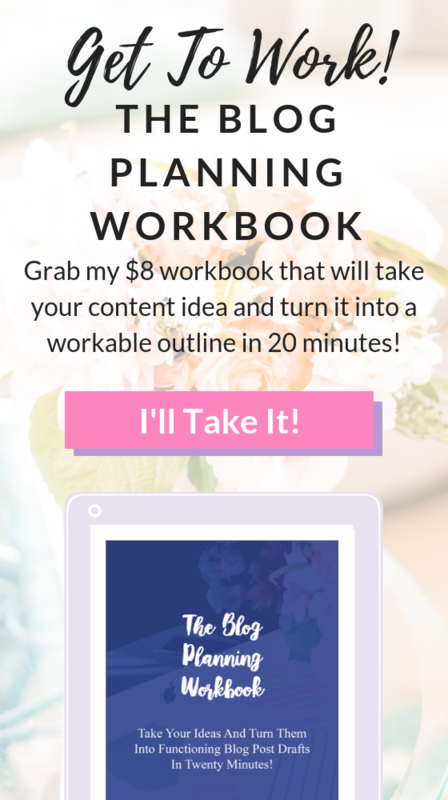 This is such a tedious task, but you will thank yourself later when you already know when your rough weeks are, which days to take off work, which professors you might need to make appointments for, etc. These are just some of the things you want to look at. Ultimately, you need to look at as much of the syllabus as you can handle. Most of the time, you only have until the end of syllabus week to switch around your schedule without losing money. This isn’t really fair, but it’s how college works. So you have something to determine. 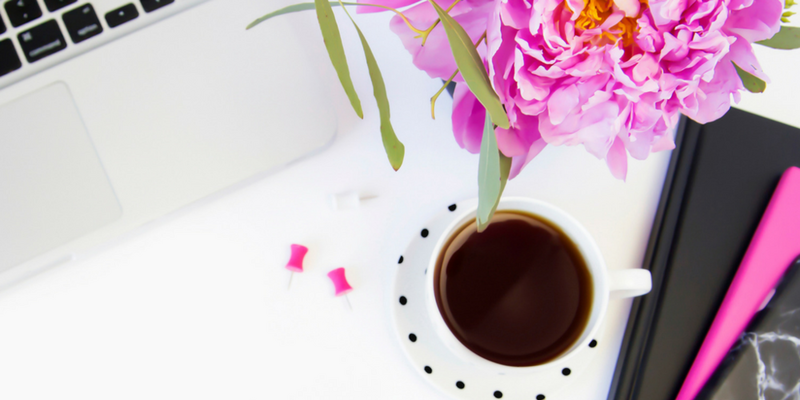 Do you think you can thrive or at least grow to thrive in the course? AKA can you pass this course? If you are on a scholarship this will probably be extremely important for you. Now is the time to decide what you think about this because you can usually easily drop a course and add a new one during this time. Understand that you can drop a course after this, but in order to get another course, you will have to get a half a semester course or something of that nature. This takes some deep analysis. Don’t just drop a class because it’s a little bit difficult. Know that you have time to make a final drop decision. You should only drop during syllabus week if you want to easily swap with another full semester class because you need the hours. It’s really hard to start the school year on a good foot when your room is a hot mess. Take some time to clean up around your room, straighten up your desk, and make sure that you have all the necessary school supplies for a productive school year. It is better to make the quick Walmart trip now for pens and pencils than to realize on a test day that you have no #2 pencils to be found. Taking the time to organize your semester now will make sure that you are going down a good path as the school year heats up. There ain’t no rest for the wicked, or at least that’s what Cage The Elephant says. Getting a full good night’s sleep is going to be harder and harder once the school year ramps up. You can’t really store sleep, but starting the school year off relaxed will help you succeed during those pivotal first few weeks of school. What you do during your first few weeks can really make or break you for the rest of the semester. That’s because the easiest part of the semester is the first few weeks. In classes like math content builds so if you don’t get the foundation correct, it will be hard to learn future concepts. In liberal arts classes like history and sociology, professor expectations build as the semester moves forward, so making a great first impression is everything. If you catch up on your rest now, you will feel energized and ready to tackle all the assignments that come your way in the next few weeks. I am a professional worrier, so one of the things that I had to do during syllabus week was check and make sure that my financial aid was in order. 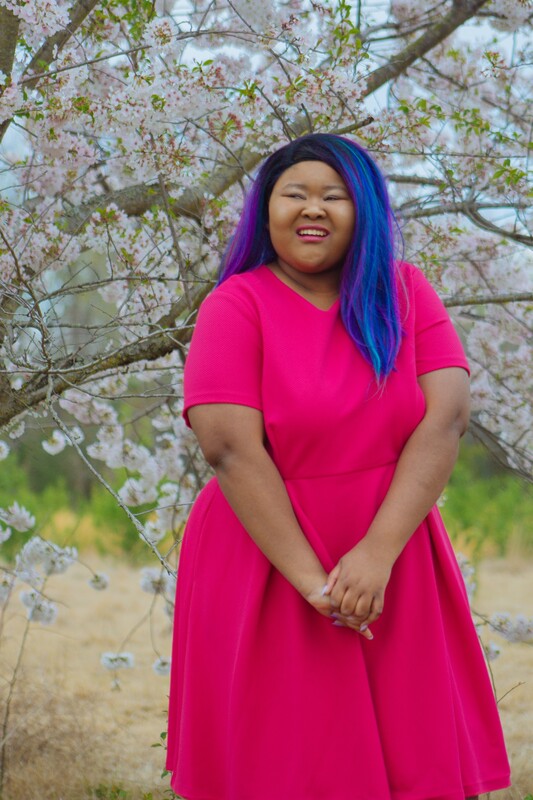 I usually had a lot of moving parts in my financial aid package in college: federal grants and loans, state scholarships & grants, and university scholarships. All of those things had to line up perfectly or I wouldn’t have money to pay my tuition, rent, or my sorority dues. I was really dependent upon my financial aid each semester. If you are like me, don’t hesitate to double check your financial aid. You don’t want a financial mistake to happen because that could end up at best costing you thousands of dollars and at worst altering your college path and making you drop out. Most of the time your financial aid will be just fine, but as I stated, it doesn’t hurt to check in. Syllabus week is very calm for the most part. There aren’t usually a ton of assignments past a syllabus quiz or quick assignment. If you are knowledgeable about a topic, try to get ahead of your school work a bit. Maybe that means physically doing future assignments or it could just mean getting ahead of your reading. This week, while short, is a great chance for you to get on top of your school work before it starts to really roll in. I suggest that you at least do a couple of things in each class if you feel knowledgeable enough about the subject at hand. Last, but certainly not least, remember to catch your breath during this week. The next week of school is usually the first full week and it is filled with activity. Take some time during syllabus week to get your mind together, do a fun activity to relax, and get ready for the semester. Syllabus week is a unique part of the semester. It is not as busy as other parts of the year, but if you use the week correctly, you can set yourself up for continued success throughout the year. 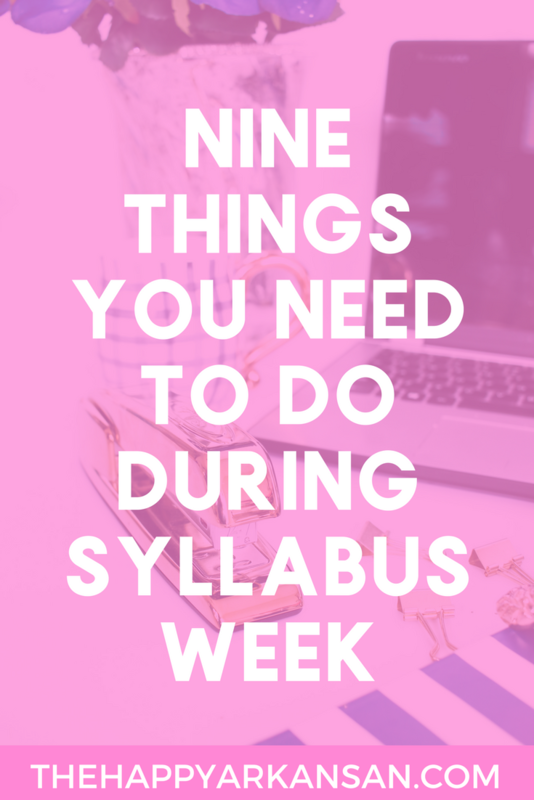 If you follow these 9 things you can create a syllabus week that you will be proud of and you will be able to spend the first few weeks of class in an eased state of mind. What are your best syllabus week tips?